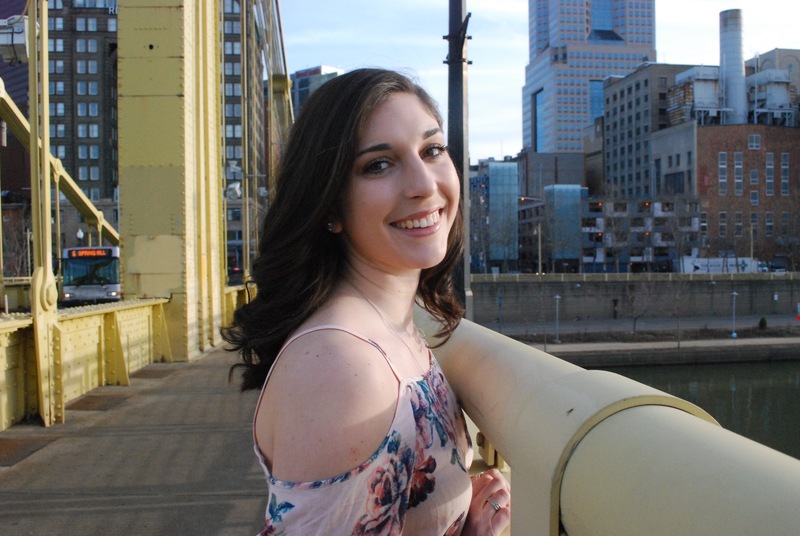 ”The best decision that I’ve made during my time at Point Park was to get involved with CAB. I wouldn’t trade the friends that I’ve made through this organization or the amazing memories that we’ve shared for anything." I found out about Point Park when I was recruited to play varsity basketball here, but what really led me to pick this university above all others was the location. I loved the thought of being in Downtown Pittsburgh and I knew that Point Park students make valuable connections with the businesses and sports teams in the city. How have you applied your experience with the Campus Activities Board to the real world? Being part of CAB has given me the hands-on experience in event planning and management that has helped me to progress further towards my career goals. Because of my previous experience as the special events coordinator, I was able to land two internships with wedding planners last summer and make connections in my field. My time with CAB has improved my leadership skills, management strategies, and allowed me to network with vendors involved in our events. This organization has become a huge part of my life and brought me so many opportunities, and I know that it will only continue to help me in the future as the executive director. My favorite spot to relax on campus is definitely in Village Park. I love that it's a central aspect of our campus in the heart of the city, and it's a breath of fresh air when I need to just sit down and take a moment for myself. It's a great place to hang out with friends and it brings a little bit of nature right to our urban campus. How has your experience as a student-athlete helped prepare you for other leadership roles at Point Park? Basketball has definitely impacted the person that I am today and the leader that I have become at Point Park. Since I joined the varsity team as a freshman, I've had to step up and set a positive example for the rest of my team to follow. Holding a leadership role on the court has helped me to grow into my own person and have the courage to take on new roles around campus. If basketball hadn't been such a prominent part in my life that continuously pushed me outside of my comfort zone, I don't know that I would be the student leader I am today. Where is your favorite place to get pizza in the city? My favorite pizza shop in the city is Giovanni's Pizza. I tried it for the first time during my sophomore year and I've been hooked ever since! My best advice for incoming students is to get involved as much as you can during your time at Point Park. Your time here will fly by, so don't be afraid to jump in head first to find what you're passionate about and meet people who share the same interests. The best decision that I've made during my time at Point Park was to get involved with CAB. I wouldn't trade the friends that I've made through this organization or the amazing memories that we've shared for anything.